Ingenious and Enterprising Women Scotland is a programme which empowers women in STEM roles to take control of their professional development and careers. Founded by Sara Shinton and Janet Wilkinson, the programme originally ran at University of Edinburgh, but is now going national following its success, and includes a series of networking events around Scotland, and three residential weekends as Ingenious Women Scotland. Whilst I may not have a STEM background (occasionally examining the portrayal of STEM in Batgirl as part of my PhD doesn’t quite count), I was able to join the first Ingenious Women cohort, and charted the weekend via the UofG PGR Blog social media and #IWScot2018. In this post, I'll share some of my experiences at the residential. After introductions, the first Ingenious Women Scotland residential kicked off, invoking the theme of Creativity as participants were asked to create vision boards, inspired by who they thought the ingenious woman is, and what qualities she embodies, as well as their own experiences and the numerous motivational posters in the room. 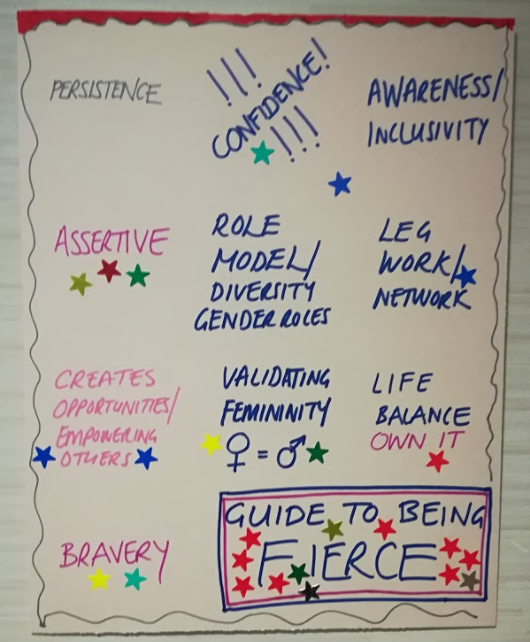 Each group constructed unique boards, ranging from an interactive poster tearing away problems to reveal the Ingenious Woman’s Guide to Being Fierce, to a 3D “spiral of success”. 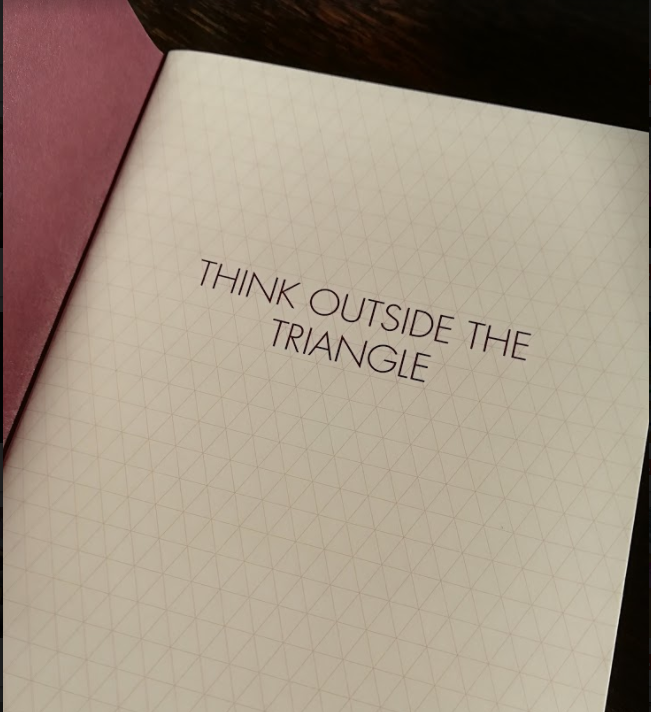 Although everyone presented their ideas differently, it was unanimous that we were ready for a weekend of thinking “outside the triangle” and creativity. Saturday was the first full day of activities, and began, as most brilliant days do, with the gift of new stationery. Everyone was gifted a beautiful notebook from Copper Scribbles, to be customised and used throughout the weekend (and the subsequent residentials) to capture our creative pursuits, starting with and introduction the Creativity Cycle. As researchers, we’re trained to filter information, whilst the cycle encourages curiosity and capturing information- however insignificant it may seem- as inspiration may strike from the unlikeliest source or time. You can find the full cycle- and check out the weekend’s amazing Creativity Wall over on the Ingenious Women blog. Next, came introductions to some techniques to kick-start creativity and tackling problems. 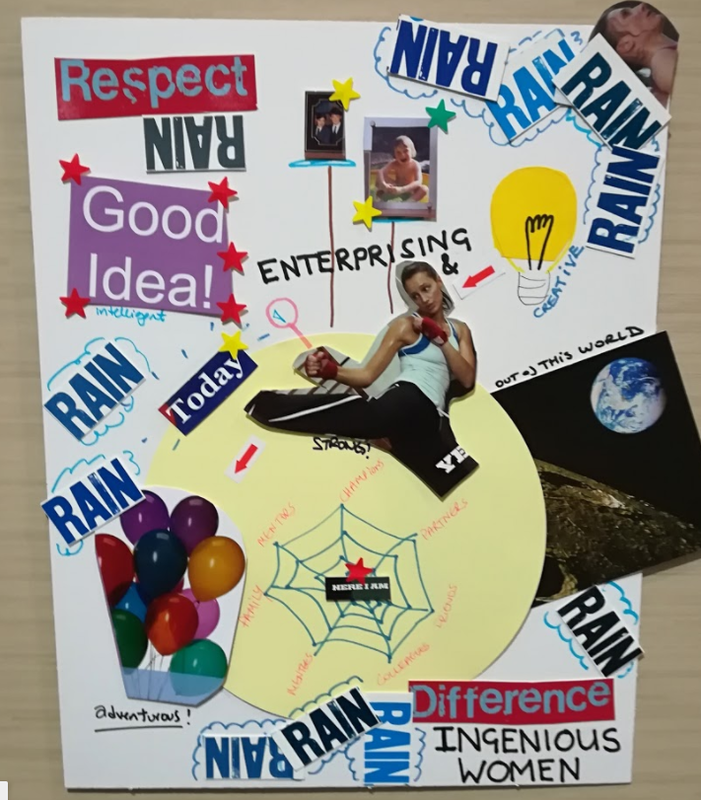 First, the groups selected an issue or problem we faced as Ingenious Women, and then used random input and word association to create new solutions or means with which to take control of the different situations. This technique led to a surprisingly subversive and empowering discussion about imposter syndrome (via the connection to small toilets). Rather than fighting imposter syndrome, try embracing it; it’s a sign that you’re stretching yourself. After all, who is anyone to say that we are not experts or don’t belong? This particularly resonated with me, and I like the idea of twisting that niggling voice in the back of my head into a badge of honour to the point that I’m actively seeking out new ways to push myself in both my academic and everyday lives. My favourite exercise from the weekend involved knickers (things you never think you’ll put in a blog post!) Rather than having different thinking hats or caps, the Ingenious Woman has knickers, including but not limited to Resilience, Motivation, and Sensible Knickers to name but a few! Each pair is worn for specific tasks or roles, and some can even be worn with other pairs. Inspired by the Creativity Wall, each group was given a pair of knickers and expanded upon how the knickers could make a difference for them. I’m certainly more aware of the knickers I wear for various roles…Blogging Knickers, anyone?! Sunday introduced the Myers Briggs personality indicators, and touched upon how by establishing our personal preferences, we can adapt to suit changing roles and tasks. The next session looked at Walt Disney and his creative techniques, adding an additional process to our creative toolkits, and the roles of Dreamer, Realist and Critic. 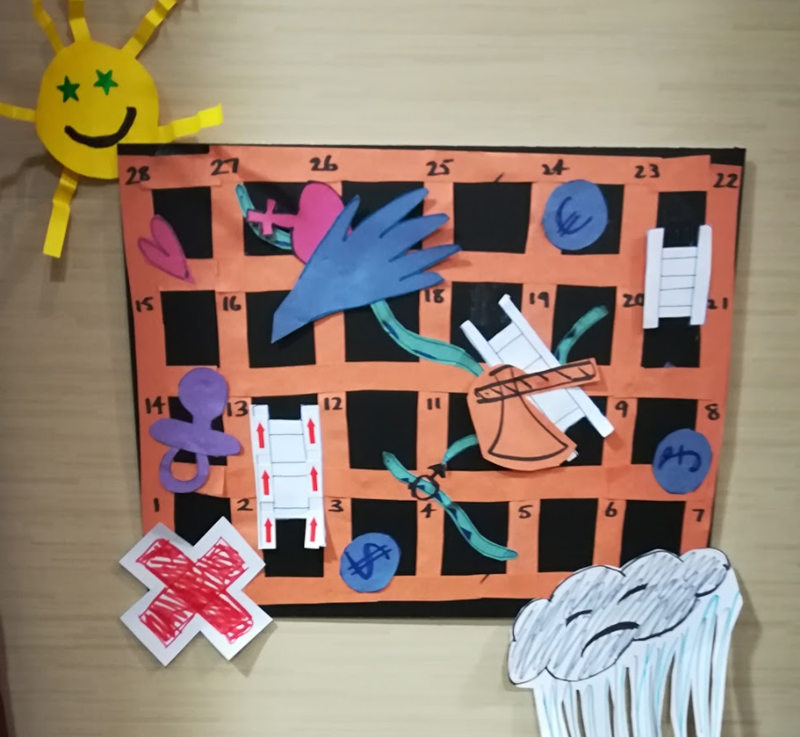 The weekend’s activities ended with visualisation, and establishing what constituted a “good day” for everyone, considering when and where we were, and what or who helped to make it a good day. 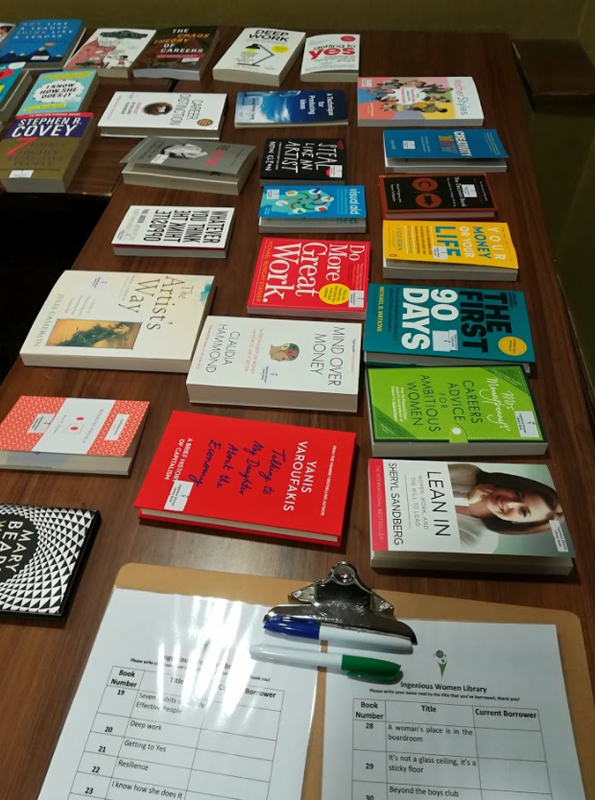 It was noted that by visualising- or even using other techniques such as free writing- good days or other successes, we’d bring ourselves one step closer to achieving our goals, or even changing our habits. Unsurprisingly, I’ve pictured myself absolutely smashing my APR, and leaving the room in a blaze of glory… It’s unlikely that anyone on my panel will utter the phrase, “Shantay, you stay, but I can visualise. 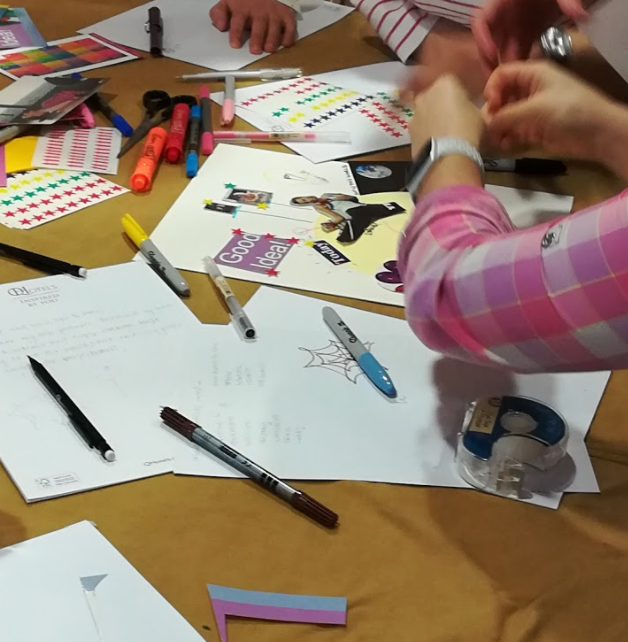 Creativity does not need to be something big, quirky, or branded, and as the first of the Ingenious Women Scotland programme proved, it is something we all have at our fingertips waiting to be used. Overall, the weekend was an uplifting and inspiring experience, and I am still riding the creative high. I’ve certainly noticed a difference in how I’m approaching my thesis, and my future career development (the visualisation is paying off!) I can’t wait for the next weekends. Cia Jackson is a PhD candidate in Comparative Literature researching the portrayal of fangirls and power in DC's Harley Quinn and Batgirl comics. She is PGR office intern 2016-2018.